It seems like a matter of when, not if, Canon and Nikon will enter the high-end, full-frame mirrorless market. But will any system they release accommodate legacy lenses?Last week I wrote an article in which a supposed “internal document” from Fujifilm suggested Canon and Nikon will lose 50% of their market share within three years. Naturally, this created a lot of healthy discussion among Fstoppers members and the article has had almost 100 comments to date. Many of the issues brought up in the comments related to mirrorless systems and what will happen if and when Canon and Nikon enter the mirrorless market. Currently, the likes of Sony, Fujifilm, and Olympus are at the forefront of the mirrorless market and have a good head start on the two traditional giants. However, it seems a foregone conclusion that both Canon and Nikon will produce a high-end mirrorless system sooner rather than later, perhaps as early as next year if rumors are to be believed. But what drove a lot of discussion in the comments to last week’s article was whether or not any high-end mirrorless system that Canon or Nikon release will allow for full integration of legacy lenses that owners have been using on their DSLRs hitherto. At the moment, if you want to use DSLR lenses on a mirrorless system you need to use an adapter, such as the Metabones T Smart Adapter. That is simply to account for flange distance - the distance between where the lens mounts and where the sensor sits in your camera. Obviously, the distance is different when you compare a mirrorless system with a DSLR system that has a mirror, hence the need for an adapter. Depending on the adapter you use, you might not be able to use automatic focus or auto aperture with your current lenses. Naturally, the adapters that couple legacy DSLR lenses with mirrorless systems most effectively are at the more expensive end of the market, and don’t always guarantee a perfect transition. Which brings us to our current dilemma. When Canon or Nikon release a high-end mirrorless system into the market, will those cameras have the capacity to allow for perfect use of lenses currently used on DSLR systems? Now that might seem like a ridiculous question considering they are two completely different systems but I will put my hand up and say, perhaps naïvely, that I had assumed that the two makers would provide such a feature without a shadow of a doubt. I did some looking at it purely from a business perspective. If you look at Sony, for example, it has had its a7r series out for about five years and is now on its third iteration, the Sony a7riii. That means Canon has had almost five years to sit back and look at how developments have played out. During that time, the two traditional giants have seen a number of people move over to mirrorless systems, albeit with the need for them to use an adapter for their legacy lenses. So in reality, that means that the likes Sony and Fujifilm are ahead of Canon and Nikon by about five years in their Research and Development for high-end mirrorless systems currently on the market. So surely, when Canon and Nikon do finally release a high-end, full-frame mirrorless system to compete with the current market leaders, it won’t just be something similar to what’s already available now with other brands? Surely it has to be something significantly better? If it isn’t, don’t you think they risk alienating loyal users who have sat back and waited for them to release a system that competes with the likes of Sony, and hopefully outperforms them? In my case, for instance, I have put years and years and thousands of dollars into building up my lens collection, mostly with Canon. I am perfectly happy with my current 5D Mark IV and batch of lenses, but of course, if I could use them all on a native Canon mirrorless system that was a significant improvement on my current camera, then of course I’d jump at the chance. However, if Canon releases a full-frame mirrorless system that still requires an adapter for legacy lenses and doesn’t guarantee full integration of all lens features, then I will have to think seriously about which way I go, for two reasons. First, I’ll probably be angry that I’ve put so much time and effort and love into curating my current collection of lenses yet they may potentially become redundant on a new, mirrorless system. That's a sentiment that many people have expressed. You might say I could simply go out and buy an adapter but there is enough current evidence out there that they are not always successful and do not always guarantee seamless integration of all lens functions and features. 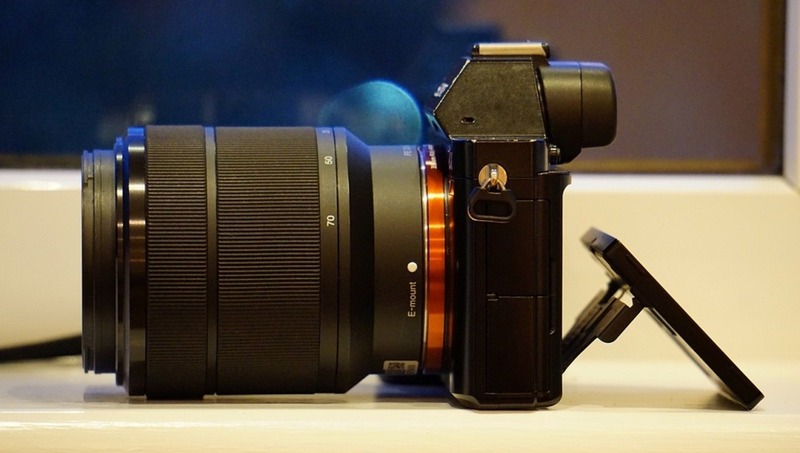 And it would be pure speculation at the moment as to the success of any adaptor because neither Canon nor Nikon have released a high-end mirrorless system. But if they did come out and release a full-frame mirrorless system with the caveat that I needed to start my lens collection again from scratch if I wanted to benefit from all the features of such a system, then I wouldn’t be a very happy camper. And it’s something I hadn’t even contemplated until last week. Secondly, if that scenario were to play out then I’d have to think seriously about following many others and moving over to a different brand. Why? Simply because of position in the market. If Canon, for example, released a full-frame mirrorless system that was essentially on par with the Sony a7riii and didn’t offer a significantly better experience, then why would I not go to the market leader? You’d imagine the likes of Sony and Fujifilm and Olympus etc are already researching and designing upgrades for their next release. So if Canon couldn’t give me an irresistible reason to remain loyal (such as full integration of legacy lenses), then I’d be heavily tempted to go to a system that already has 1,000s of users and advocates and proof of worth, rather than hope that Canon’s first iteration was a blinding success (albeit potentially without use of my legacy lenses). I put this issue to both Canon and Nikon on Twitter, but am yet to hear a response. This doesn’t mean anything really, but it would have been nice to get some information about what’s on the horizon. How do you feel about it? Do you think Canon and Nikon will find a way to integrate legacy lenses with new, mirrorless systems, or do you think it’s a pipedream? And if you’re a Canon or Nikon owner, will you stay loyal if they release a mirrorless system that requires an adaptor to use legacy lenses, or will you jump to brands like Sony, or Fujifilm? Knowing Canon, they will probably give you as little as they think they can afford. Canon has shown that it won't give a screw more than it needs too and even if it needs too, they won't give it if it competes with their existing line-up. Of course, the rest I am going to write is conjecture but it wouldn't surprise me if they released several MILCs (2 for instance) of which one was severely handicapped when using an adapter and the most expensive model will probably work well with an adapter. I am convinced that they won't go balls out but will give the bare minimum. I am not a technical person but I have read on multiple sites that lenses made for d-slrs won't function that well directly on a mirrorless body. It had something to do with the focussing systems. I think Nikon will go balls out to keep their clients. 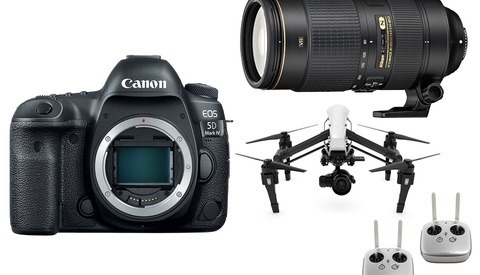 Canon have become complacent. They are still convinced everybody will stick with them. They could but I can't imagine they will. Too many people, who want a mirrorless camera, want the benefits inherent in a shorter flange. An adapter, until they make new lenses makes a lot more sense. Unless they're foolish (not to say they aren't) their adapters will be as good or better than currently out there. Forgive my ignorance, but can someone explain the benefits that are inherent in a shorter flange distance? Is it just to make the body narrower? Yeah. Like anything else, your personal preferences inform the compromises you're willing to make. Thanks for the link. Based on this information it doesn't really seem like that would be the main driving force for a new lens mount, but since Nikon has so many different AF variations of their F-mount, it makes sense to me that they would feel the need for a new design going forward. At some point you have to just move on. Canon users went through this when they went from FD to EF mount. "At some point you have to just move on." That probably depends on your needs. I don't care about mirrorless or a different mount but then, I'm older and more methodical in my photography. None of the benefits of mirrorless apply to me. At this point, the differences between cameras isn't the resulting shot but how easily a particular camera helps the photographer *get* the shot, how comfortable the camera is to the photographer, how reliable the camera is, etc... Not unlike a mechanic's tools. Interesting viewpoint. From my perspective the end result is the be all end all. 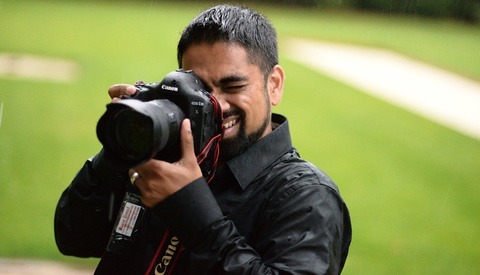 Unless a camera is ergonomically ridiculous to use in my hands, I'm sure I can adapt my feel for it. In saying that, I'm only 5'7 and 63kg so size for my fingers doesn't really matter, but I know its a massive issue for bigger people with bigger hands and fingers. I've been pondering that as well, along with the relative pros and cons. I'd rather not use an adapter if I didn't have to, at the same time, perhaps they could integrate the adapter in a different way so that it's more secure. Also, if you are still going to include a robust grip, how much space do you shave by removing the depth required by the standard mounts? Seems to me like you don't necessarily need to use a different mount at all really. Other than looking weird, and a lot of other companies using new mounts, it doesn't necessarily seem like a necessity to use a new mount to me. The biggest drawback is you'd still have to build lenses around the larger flange distance, but I suppose you could modify that concept and have the lens extend further back beyond its physical mount more. You'd need some weird rear lenscaps to accommodate that kind of design. These are all the exact same things I've pondered. And all your questions are ones that surely the smart people at Canon/Nikon have pondered too. Thus my belief that they surely, surely must come up with some kind of mount system that integrates current lenses well. I don't think there is a significant clamor for a smaller body than a Rebel or a 7D. I sure don't want a smaller body. Lighter, fine...but if they come up with nifty new things to do with the space, it wouldn't bother me even to keep with the same weight. 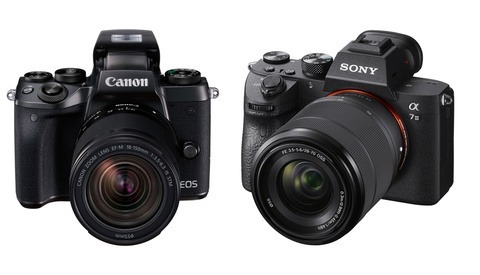 Nor do I think Canon or Nikon has to duplicate Sony with different nameplates. I think they're going to continue developing features in their current directions, emphasizing their own particular strengths--i.e., the areas where they already own patents and Sony doesn't. In that regard, when Canon does its thing, I think it's not going to be a separate mirrorless lineup, but a replacement of current models. If the rumor is true that Canon is about to announce vIII replacements for some of their current vII lenses, particularly the essential f2.8 70-200 L IS, in the ES mount, that strongly suggests there won't be any change in that aspect for another decade. The reason to not do that is pretty simple: Why would you put your system at a disadvantage long term just to please a few professionals short term? Yes. In 1987 when Canon made the Big Bang change to the EF mount, they moved to a position of distinctly secure market position (there was only one major competitor) and that move to the EF mount put them a technological lightyear ahead of Nikon and every secondary competitor. After several more years, when I finally gave up my manual focus FD system and looked to autofocus, Having to buy a totally new system, I was piqued enough at Canon to take a fresh look at Nikon (still the only major competitor for professionals)...and found Nikon's limping transition to autofocus a confusing mess. You needed a score card to figure out which Nikon bodies worked with which lenses and how integrally each combination functioned. Minolta had the headstart on autofocus, but didn't have a professional body or lens line. Leica was still pretending autofocus didn't exist. So I stuck with Canon then...but only because there wasn't a really viable option, and Canon took a huge leap over Nikon--that's when you started seeing all those white lenses on sports sidelines. Canon does not have that luxury today. Professionals aren't going to be thrilled about taking that kind of bath, nor, for that matter will most people with more than one lens. There will be a whole lot of people taking that opportunity to make sure some other manufacturer isn't offering something more...and unlike 1987, we've all heard that another manufacturer is. Canon would be dumb as hell to orphan the EF mount. A really tight EF-to-M adapter sold with the lens might serve as an acceptable bridge, but abandoning current customers will likely sink them. Does anyone have any experience with the EF EOS M adapter? I've read good reviews on it, but don't know anybody with an M camera body. I have one, I don't put anything massive on it, but it's solid. Personally I'd like to see a Leica SL style, larger body, with a proper grip, nicer materials than the sony's system (looking at you plastic LCD cover...), and then have lens mounts with the same lens contacts as the EF/F mounts, and then sell them all with a the first party adapter, giving users the versatility of mirrorless in terms of legacy lenses and more compact wide angle designs, while maintaining full compatibility with their existing lenses, to provide a smooth upgrade path for DSLR users that are still invested in their glass. I hope that CaNikon releasing mirorless FF will make many people selling their gear at the same time so I can have all I need at a cheaper price than usual. I understand this type of articles and I'm absolutely not against it, but I think it has not much to do with photography. I had the chance to meet a photographer I admire the other day and he still shoots a Canon 5DmkII that he's not planning to upgrade anytime soon, looking at his work you wouldn't care about what he's shooting with because that's not why his clients come to him anyway. 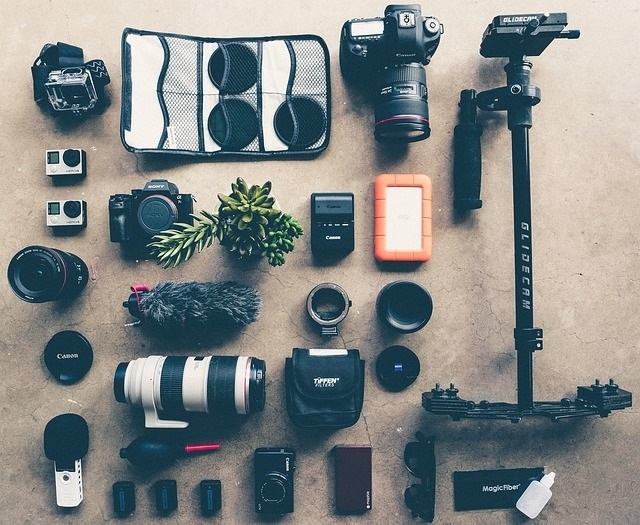 Absolutely true - the camera and lens are just tools in someone's hands. We can all pick up a pencil but we can't all draw beautifully. But if a FF mirrorless has significantly better quality in the finished product and is comparable/cheaper in price to current DSLR FF cameras, of course people will be interested. Both firms have a tremendous incentive to make a big splash in mirrorless so having the conversion for the existing base as seamless as possible would seem to be all but mandatory. 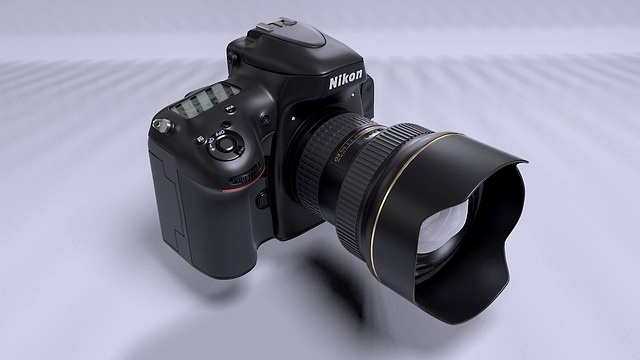 Nikon's fan sites are rich with speculation/un-validated rumors of a new mount. As the the market #2, Nikon has less market power and a fully-functioning adapter would be all-but mandatory to make their offering attractive to the current base. On the other hand the F-mount right now -- unlike Canon's -- is a heterogeneous hodge-podge of incompatibilities with the less then three year-old AIS-P mount variants adding to the mix. So it would seem some incompatibilities are inevitable. Still, Nikon did it with their ill-fated Series 1 mount a decade ago. Canon on the other hand has a huge choice: they could stick with the EF mount and offer truly effortless conversion but that means foregoing the flange-distance advantage on lens designs shorter than, say, 50mm. Still even if they had a new mount, a fully function and compatible adapter for the EF is vastly easier to engineer and produce than Nikon's options. Overall i wouldn't be too worried about this issue. The real question about full frame mirrorless is: what are the advantages? There will be some (ha! no lens AF calibration!) but, as any full frame Sony user will tell you, total kit weight for equally-specced lenses is not one of them. Yes I've written many times that when you factor in adapters and lenses and filters and filter holders added to bodies, there really isn't much difference in size/weight/bulk between DSLR/mirrorless. You raise many valid points and I hope the engineers at Canon (and Nikon) don't go the easy route and opt just for adapters. Here's something I've never thought about before; Let's say both Canon and Nikon come out with a new mount/lens system. If that happens will standard lenses plummet in value? For the last 20 years lenses have held their value much better than cameras but this won't be the case if they both dump their standard mounts. Maybe. Think about when they switched from FD to EOS, and then when IS was introduced, and then when digital sensors required higher resolving power (if you believe in that sort of thing). There are some lenses that will for sure hold (big white ones), but the other thing to consider, and why the values will hold for a while, is how long it would take for them to release all the equivalents in a new mount.